The Council of Nicaea (also known as the First Council of Nicaea) was the first ecumenical council of the Christian Church. This council, which was convened in 325 AD, was assembled by the Roman Emperor Constantine. About 300 bishops from across the Roman Empire met in Nicaea to discuss theological issues, particularly the teachings of Arius, Arianism. 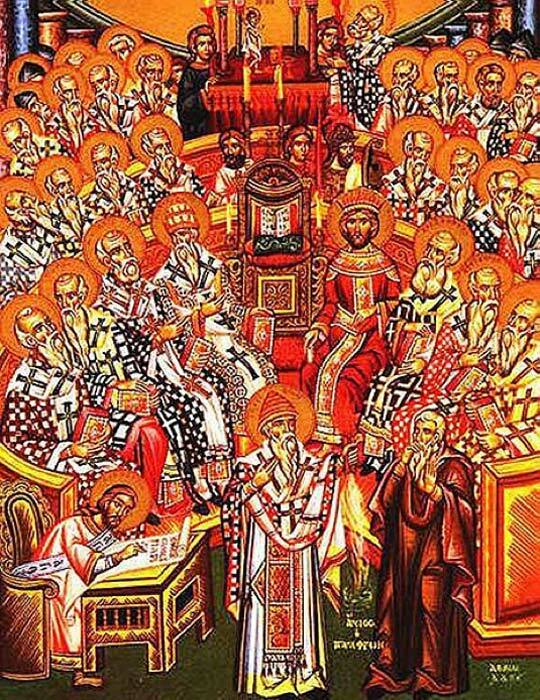 One of the most important outcomes of the Council of Nicaea was the formulation of the Nicene Creed, which is still used as a profession of faith by many of the Christian denominations. 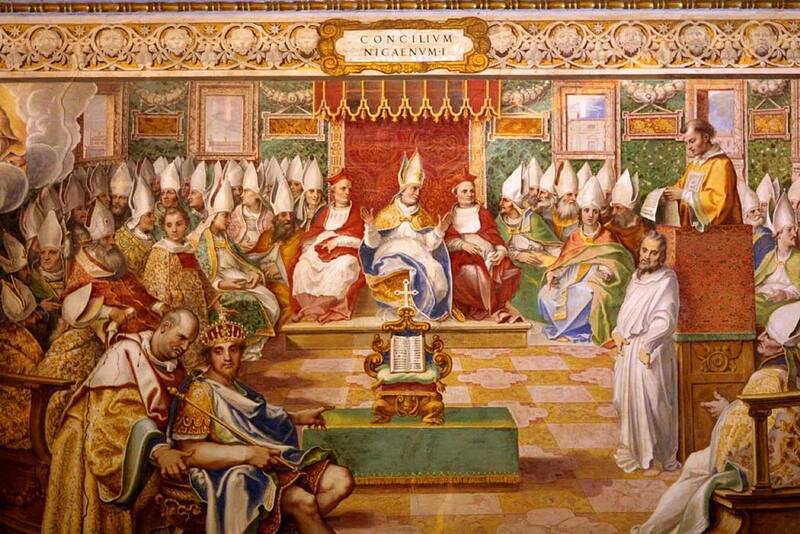 What was the Purpose of the Council of Nicaea? In 324 AD, Constantine became the sole ruler of the Roman Empire. Although not a Christian himself at that time (he was only baptized on his deathbed in 337 AD), he allowed Christians (through the Edict of Milan in 313 AD) to practice their faith without being oppressed. As the ruler of the Roman Empire, Constantine hoped that Christianity could be used to unify his subjects. Divisions within the faith, however, meant that this would be difficult to achieve. In order to unify the Christian faith, the emperor convened the Council of Nicaea. During the 4th century AD, there was a controversy within Christianity regarding the nature of the Godhead , specifically the nature of God the Son in relation to God the Father. One position maintained that though Jesus Christ was divine, he was not equal to God, as he was a created being. This belief is known as Arianism, names after Arius of Alexandria. The other position maintained that Jesus and God are equal, being consubstantial, i.e. of one substance, and coeternal. This position was known as Homoousian (meaning 'same in being’) Christology. The Arian controversy had already been debated as early as 320/ 321 AD, when a council was called by St. Alexander, the Bishop of Alexandria. Over a hundred bishops from Egypt and Libya took part in this council, which resulted in Arius being anathematized. Nevertheless, Arius continued to preach and recruit followers. When he was expelled from Egypt, Arius went to Palestine, and thence to Nicomedia. The seriousness of the Arian controversy may be seen in the fact that the emperor himself tried to reconcile the two parties to each other. Constantine sent letters to both Arius and St. Alexander advising them to end the conflict. As neither party were prepared to back down, Constantine decided that the best way to resolve the conflict was to convene an ecclesiastical council. In 325 AD, the Council of Nicaea was convened. The council was attended by about 300 bishops from across the Roman Empire, especially from the eastern provinces. Interestingly, the pope at that time, Pope Sylvester I, was not present at the council, though he had two representatives. Although Constantine was also present at the council, and presided over it as an honorary president, he left the direction of the theological debates to the ecclesiastical leaders. 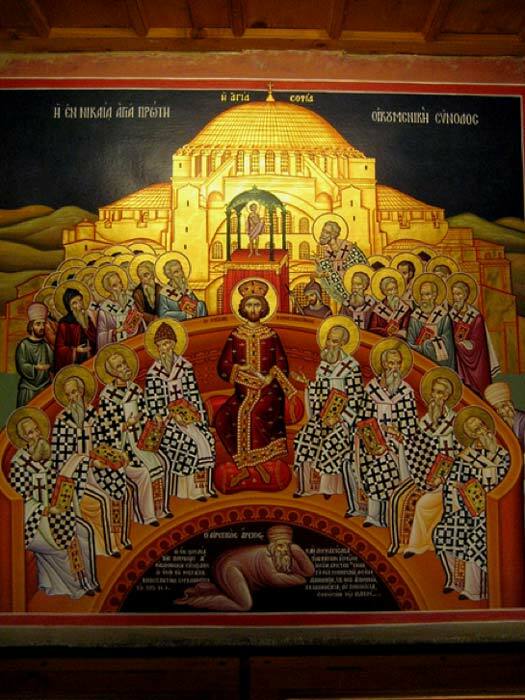 One of the most important outcomes of the Council of Nicaea was the Nicene Creed, which defined orthodox, or “correct”, Christian belief. At the end of the council, Arianism was left with only three supporters, Arius himself, Theonas of Marmarica, and Secundus of Ptolemais. Arius’ teachings were declared as heretical, and his books burned. Arius himself was exiled by the emperor to Illyria. Various other issues were also discussed by the participants of the Council of Nicaea, and 20 canons were issued, most of which being administrative in nature. For example, the primacy of Alexandria and Antioch over other sees in their area was confirmed by the council. Another canon provided instructions for the proper ordination of bishops, i.e. that they should be appointed by all the other bishops in the province if possible, failing which, three would be sufficient, provided that the absent bishops had taken part in the vote, and provided their written consent. Why was Council of Nicaea Important? The Council of Nicaea had a lasting impact on Christianity. The Nicene Creed is still used by most of the major Christian denominations, including the Roman Catholic, Eastern Orthodox, and Protestant churches. Additionally, the involvement of Constantine in the Council of Nicaea indicated the solidarity between Church and State, and the patronage of ecclesiastical matters by secular rulers, a pattern which was to last for centuries to come.